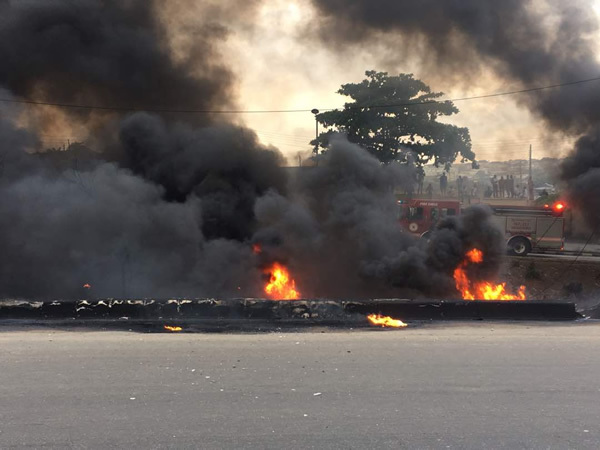 Previously,it was reported that a tanker laden with fuel caught fire on the Lagos - Ibadan Expressway , on the bridge near the Otedola Housing Estate . 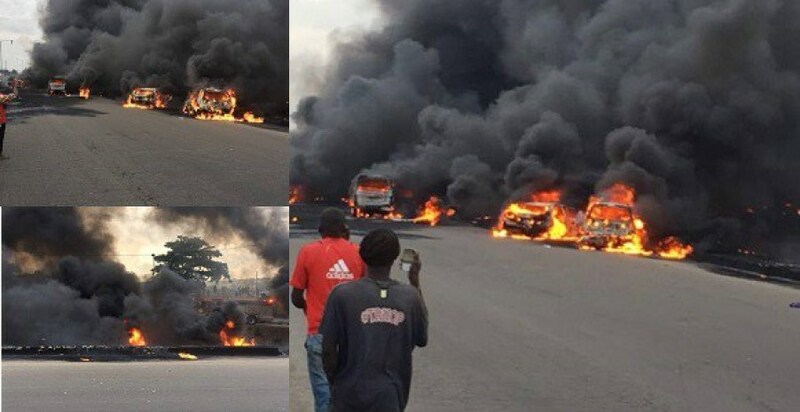 Lives were also lost but the number of casualties cannot be determined at the moment. 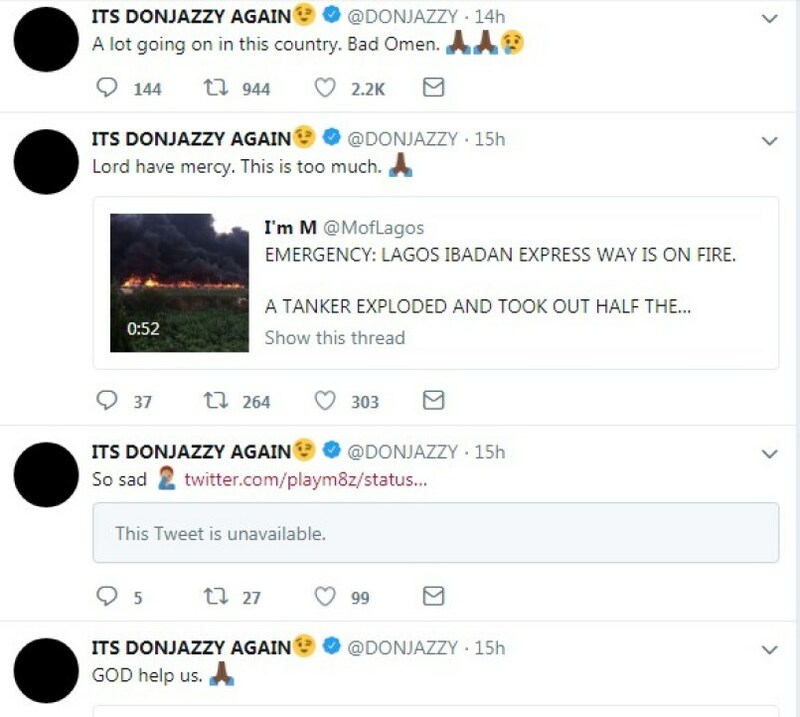 Following the incident, Celebrities such as Davido,Donjazzy,Reekado Banks,Runtown and our ex-vice president,Alhaji Atiku Abubakar has taken to their social media to show love and supports, and also to send their prayers to every victim of the incident.